Boy Scout Troop 9 offers a year-round adventure-based program designed to offer and encourage effective character, citizenship, and fitness training for boys age 11-17. In addition to camping, Scouts and adult leaders enjoy activities such as rock-climbing and rappelling, kayaking, swimming, shooting sports, fishing, service projects, backpacking and more while accommodating the needs of today’s busy families. 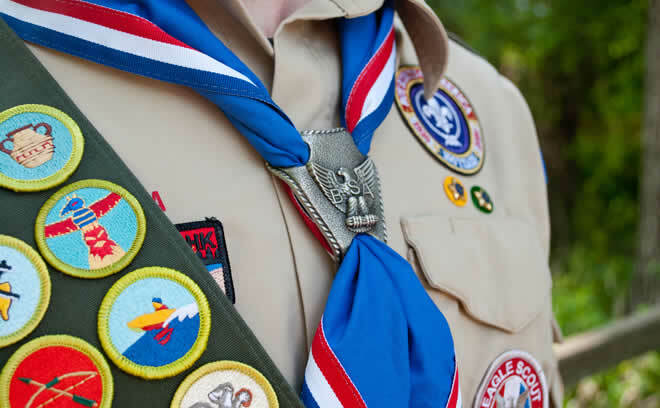 Boy Scout Meetings are held every Sunday at 1:30pm at the Scout Hut at Bryker Woods Elementary School. Not many youth organizations make it to 100 years. But since May 1917, Boy Scout Troop 9 has served Austin boys. The Scout Hut is located on the Elementary School campus at 3309 Kerbey Lane. Scouts and Adult Leaders of Troop 9 recognized by Representative Gina Hinojosa on the floor of the Texas State House for the troop’s centennial anniversary.